Threadripper. Come on, say it with me. Threadripper. Again. It’s just a fun word to say, but the only thing more fun than screaming Threadripper to the heavens is using one to play your games at crazy-high frame rates and multitask with tons of other programs in the background. 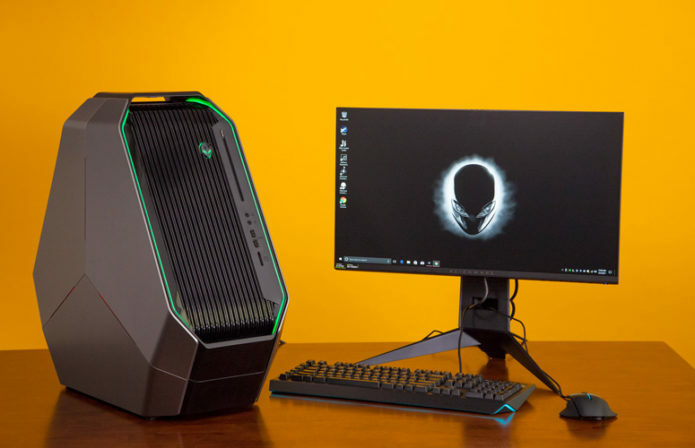 AMD teamed with Alienware to create the Alienware Area-51 Threadripper Edition ($2,999 starting, $4,399 as tested). It’s the only desktop in which you’ll find the powerful Ryzen processor, at least until the end of 2017. Unless you plan on building your own system. The Threadripper is imposing yet alluring all at once and exactly what I picture an alien terminal on a spaceship would look like.